It leaves one to wonder if this film is the best version of the writer-director? The story of a Catholic school senior in Sacramento, California finding her way while dreaming of going to college in NYC is highly autobiographical. And while it brings out the best in Gerwig as an artist, I can’t help but hope (like Metcalf’s character) for more from her that will surprise and delight us in the years to come. Many of the quirks people have come to love or loathe in Gerwig (mostly from her work with Noah Baumbach) are present here, but distilled through the amazing Ronan they become more palpable and endearing to the masses (and I write this as a fan of Gerwig in all her faults and glories as an actress). Likewise, Lady Bird longs for acceptance of her whole self, warts and all, from those around her, especially her mother. Gerwig’s screenplay channeled through Metcalf and Ronan is at its best when it keenly taps into the emotional roller coaster that can be a mother-daughter relationship…crying together one moment, laughing the next, then fighting as if a thousand years of conflict have been bottled up and it’s all coming out now at this most awkward time, all the while failing to see the mirror they hold up to each other. The dialogue between the two bites and touches. The film is also a nice time capsule of place and time – Sacramento in 2002. The music, the feelings, the peripheral world unhinged (post 9-11 and the Iraq War), the slang…it’s all really tight and razor-sharp. 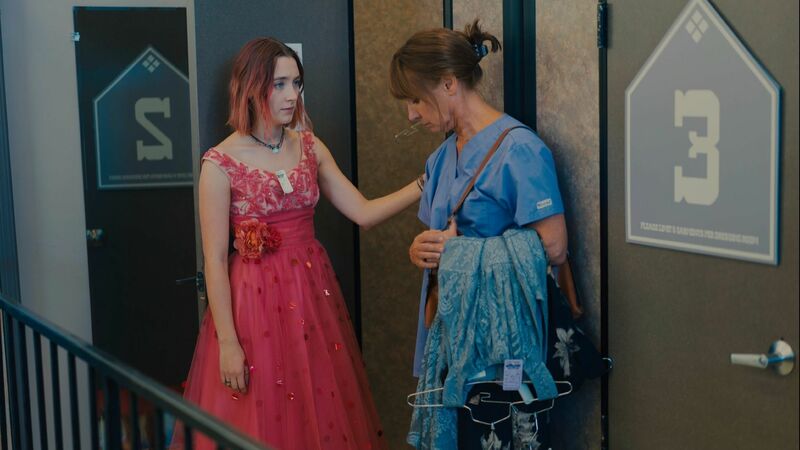 And Gerwig gifts all the women in the film nice moments in this milieu, from Lady Bird’s eager-to-please best friend (a delightful Beanie Feldstein) to a kindly, forgiving, and funny nun (Lois Smith). Sure, there’s nothing new or revolutionary to be found here. Coming-of-age tales are a dime a dozen. But when done this well, this honestly, and with such care for characters…they’re sometimes worth a million bucks. I always knew Greta Gerwig had a big hit inside her…who knew it would manifest itself from behind the camera instead of in front of it? A little bit of humility and letting your talent shine through the impeccable craftmanship of others goes a long way. Greta, and Lady Bird, you’re gonna make it after all. This entry was posted in Art-house Cinema, Movie Reviews, Movies and tagged Beanie Feldstein, California, Comedy Dramas, Coming-of-age, Greta Gerwig, Lady Bird, Laurie Metcalf, Lois Smith, Sacramento, Saoirse Ronan. We are basically on the same page here David -and your essay is as usual superbly written and thoughtful, but I went the full nine yards in a 5 for 5 rating that has it challenging a few other films including Terenece Davies’ A QUIET PASSION for the top spot. I do absolutely consider it the director’s best film.